WWE has attracted 750 million social media followers and become the No. 1 sports channel on YouTube by mastering an oft-cited but still totally effective marketing tactic: storytelling. WWE's chief brand officer Stephanie McMahon spoke Thursday at the ANA Masters of Marketing Conference in Orlando, Fla., about how the brand leveraged its content to build a loyal—and massive—fan base. "You want content that's relatable, genuine, authentic and resonates with your consumer," McMahon said. "They have to have a reason to care." Like Shakespeare, opera or ballet, WWE creates compelling, good-versus-evil content with larger-than-life characters, she added. "If we're doing our jobs right, you become invested in our characters' tragedy and triumph." McMahon herself is a character in WWE stories. "I wear many hats," she laughed. "I play a villain, so when I hear people booing me on TV, it's good. I love it." In addition to having two reality show franchises on E!, Total Divas and Total Bellas, WWE puts celebrities in WWE events and has WWE stars make appearances on other TV shows. 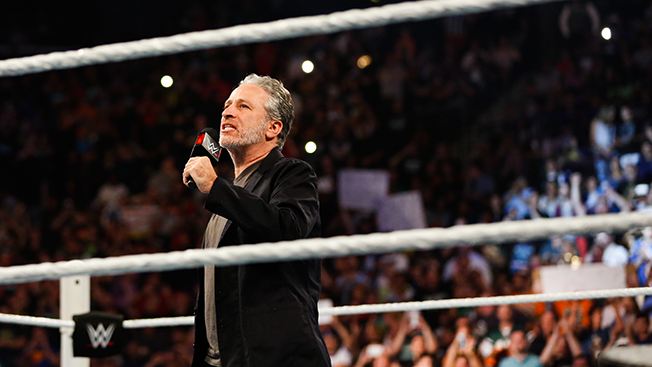 Jon Stewart, who's a WWE fan, appeared at SummerSlam twice. "These integrations have to be authentic, and Jon Stewart had a whole lot of fun with it," McMahon said. WWE also executes brand integrations at events. At this year's SummerSlam, it used the storyline of a feud between stars Dolph Ziggler and The Miz for a stunt for KFC (Ziggler dressed as Colonel Sanders and The Miz dressed as a chicken). WWE sponsors antibullying programs and has partnerships with charitable organizations like the Boys and Girls Clubs of America and Susan G. Komen for the Cure. "It's important for us to give back to the community and put smiles on our fans' faces, and create memories for them," McMahon said.